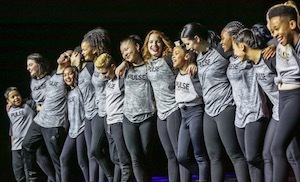 PULSE presents a new legacy of its 13-Year Tour with a fully immersive training and education weekend for your dancers unlike any other Dance Experience! We are a NON competitive educational training program with performance elements focusing on specialized workshops, classes, seminars and LIVE performance opportunities. This non-competitive environment allows for us to provide your dancers with the most amount of dedicated personal training hours unparalleled to any other weekend dance event. NEX•US Faculty are some of the top industry leaders with a dedication to connecting with each and every dancer for personal growth and development who have a true passion for teaching and education that will transform each and every attendee. NEX•US | A Dance Experience has also partnered with the industry icon and motivational speaker RHEE GOLD to bring our Studio Owners, Teachers and Group Leaders PROJECT MOTIVATE Business Seminar. This provides any of you or your teachers who would like to have Rhee in a more intimate setting to develop your business and personal growth. For teachers bringing 10 dancers or more this gives you a Free Registered Entrance to Project Motivate Seminar for the weekend and all access observer of NEXUS Experience. 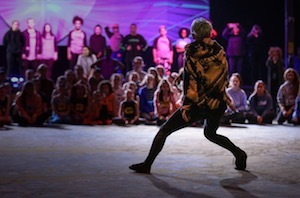 Choreographing Lives non-profit organization provides NEX•US attendees with the highest level of over $30,000 in experience Scholarships per city regionally and close to $1 Million Annually! Through our specialized training with the Elite Protégé and Lead Counselor Programs, dancers have an opportunity to tour side by side training and assisting with our Industry Leader Faculty. Specialized classes and workshops dedicated specifically to this program make this a once-in-a-lifetime opportunity for growth and development in the professional dance industry. GIL DULDULAO, IAN EASTWOOD, MATT STEFFANINA, KATY TATE, LANE NAPPER, NANCY O’MEARA, KEVIN FREY, CRIS JUDD, DEAN LEE, DAVE SCOTT, LACEY SCHWIMMER and more Special Guests announced in every city!